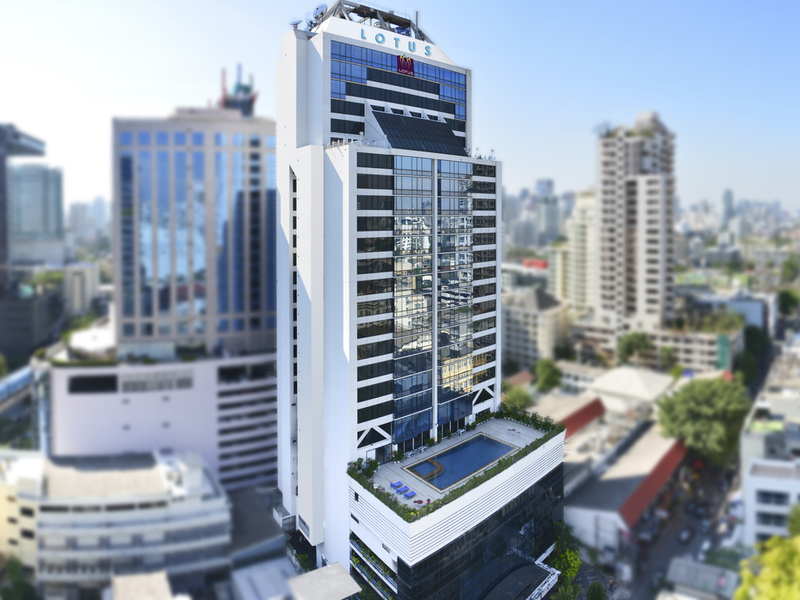 The Queen Sirikit National Convention Centre is only 0.6 miles (1 km) away, while the hotel is only 10 minutes from the Highway and 30 minutes from the airport. The hotel offers free WIFI Internet access in every guestroom. . The hotel offers 4 room types: Superior, Deluxe, Premier and Suite. Each room is spacious and equipped with comfortable beds, WIFI, mini bar facilities, in-room safe, LCD TV and bathroom with shower and bathtub. I've stayed a number of times at the Lotus Sukhumvit & each time I've enjoyed the experience. As a Le Club member I felt appreciated & was well looked after. The Guest Relation Officer, Khun Neung was attentive & took personal care of a minor problems I had. Hotel is clean and near to BTS. Staff were friendly too. Our hotel stay was amazing. The stay was effortless, from front desk to housekeeping and concierge. Very pleasant and helpful staff. Makes you feel very welcome. My 6th stay at this hotel. Will definitely return. Hosputality is great as expected. Interior of hotel is a bit aged. Service is great and room is clean. We arrived in T. evening, check in process was fast, even somebody show us to T. room, which was a pleasant experience. T. room was rather smaller compare to T. one that i had stayed before. Location was T. key why i choose this hotel, although a bit far from DMK airport, i think closer heading to BKK airport. As always everything still well maintained in good conditions, although T. hotel showing ages. All T. staff here were quite helpful, from T. receptionist, bell boy, security guard, etc. T. view was magnificent of T. Bangkok skyline. I can hear the sound of the next room. Especially, I was comfortable without problems. I Would like to increase the number of seats in the lobby. Also, I want to sit and drink a welcome drink. It was very much relaxing and feel like at home. Very clean and perfect location. Only a bit disturbing with the constantly whistleing to direct the cars outside on the street. Location is good , Restaurant is terrible. Old , ugly, quality of food is substandard. The hotel lobby is acceptable , but Guests Lift is super old , zero renovation . each floor carpet is so dirty , corridor is terrible old , Swimming pool , gym are old . Basically, we will not try to use it . only positive : staff is friendly . this hotel is 100% refurnished . this should not be 4 stars hotel . Should be 2 stars . Overall, the quality of this hotel is poor. 2 out of 10 if I give the score . Miss Neung had been very helpful to me all these years. I had stay this hotel for more than 20 times. She spend her personal time after working hour to help me get some of the Thailand goodies which I do not have time to go buy. Thanks a lots. Breakfast was quite nice, with lots of choices including Japanese food. Room was fine. Carpet at the floor doesn't look nice, and there was odor. This should be improved. Overall, with this price, I could find a better hotel, to be flank. Check in services was good but the hotel facilities are terrible , : room is old , corridor is absolutely need refurbish, rest is terrible , overall this hotel is worse than ibis . Enjoyed Good location and many kinds of breakfast. BF from 5:30 was so helpful for my early flight. 1) Great Location - near shopping centre and BTS 2) Good Buffet Breakfast 3) Friendly Staff Things to Improve- The light of the room to dim.